Founded in 1998, Pinnacle Sports was the first bookmaker, which by the odds that it offered has reduced its profit and has given with more than 60% winning chances to its costumers, more than other sportsbooks did. Having lower limits for the minimum betting values and the highest at the maximum earnings, Pinneacle has gained a very good reputation in the betting industry, due to the fact that it offers good odds to its costumers, professional services of assistance and the fastest payments towards it clients. The website has a simple interface, easy to navigate and with a pleasant aspect. The odds are presented in a decimal and American format. The menu is translated in 15 different languages and from those, we mention: English, Spanish, German and Italian. The great odds were what made this sportsbook be extremely appreciated by the professionals. 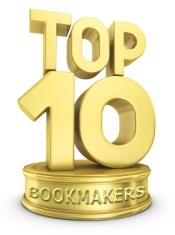 Some of them consider Pinneacle to be the best online bookmaker. You can bet on matches from 21 leagues from Europe, including Romania, Competitions from the European Cups or international games. The offer also includes Asian handicaps, under/over or the right score. You can bet on: hockey, golf, tennis, Formula1, but also from competitions from USA, like MLB, NBA, Basketball NCAA, Arena, NHL, Football NCAA, WNBA, Nascar or Box (WBC/WBA/IBF/WBO). You can deposit money through bank transfer, Cheque, debit and credit card, NETeller and Moneybookers. The minimum sum that you should deposit when you sign in is $50. Pinneacle is one of the most serious and known online, which offer the best odds especially at the American competitions, like: NHL, NBA, NFL and MLB but also for the football matches. If you are looking for a professional and safe bookmaker, we strongly advise you to try and make an account at Pinneacle Sports. You have nothing to loose!